Discount available! 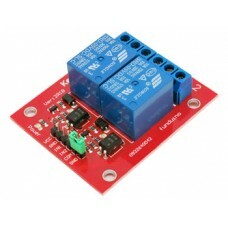 Recommend Module 2 relays (mounted) to your friends and get your Discount. Module with two relay to easy control your devices. It has opto-isolated inputs and status LEDs. Output: N.O. - Com - N.C.
Set consists of an IR remote control and a 4-channel receiver. By pressing one of four buttons on th..